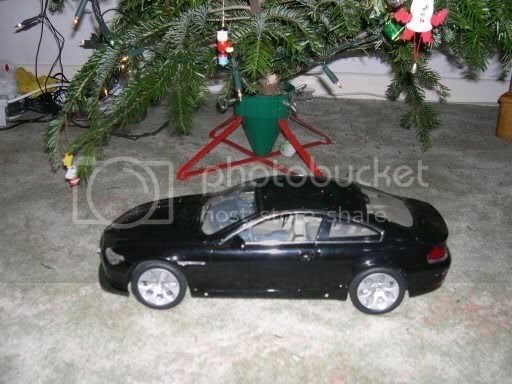 Welcome to the BMW Car Club Forum. If you wish post a picture of you/your car and a brief description (please follow forum guidelines re posting pictures). Note, that this thread is for introductions only - if you want to discuss a new members car in more detail, please start a new thread. Hi my name is David . I like cuddles best ! I currently own an E34 M5 3.8 , a E34 M5 3.8 LE ( 11/50 ) , a E21 320 Baur convertible and my wife has a E46 323i Se . This all started after we bought a P reg Z3 1.9 ! Mustn't forget this one ! This is only my second year of membership of BMWCC, as i was very cautious about joining after the demise of the Drivers Club. Took me a long time to join the club, and even longer to join the forum !,but, looking back, i wish i had joined earlier. 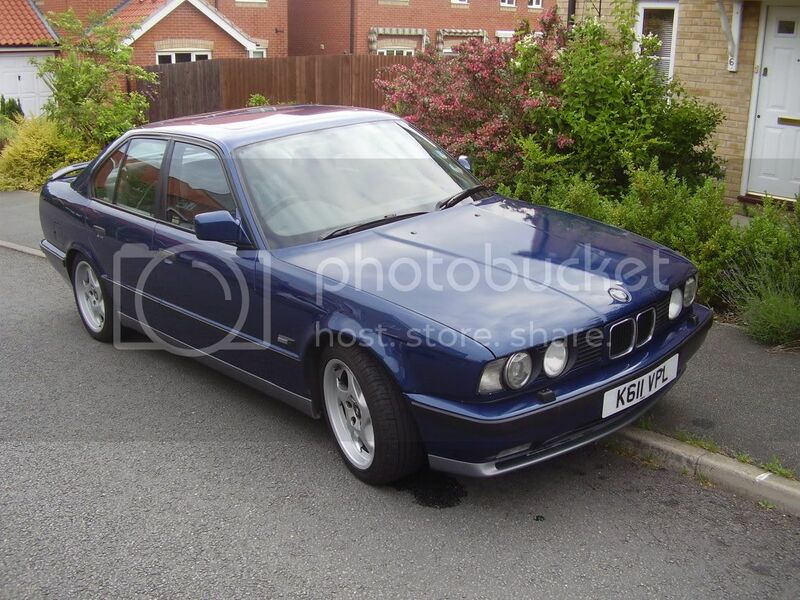 My main interest is in the 7 Series of which i have two E32's (and am involved in the 7SeriesRegister),but also run an E39. 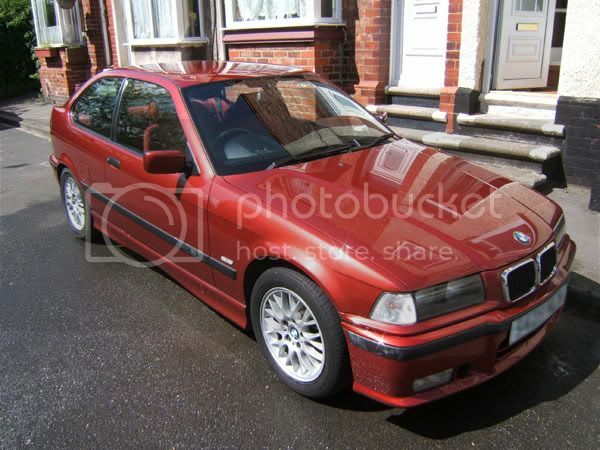 I also have a E30 2 door which regretfully i cant drive now due to a mobility problem stopping me driving manual cars. I have been organising a Midland monthly pub meet for the past five months now, which is now starting to have regular attendees (thanks to everyone who has attended) and look forward to meeting more members in the future. It's taken me a while to get my act together and get myself on the forum. I'm a relative new comer to Bimmers but I'm making up for it with enthusiasm. I'm not a particularly car techie person, being limited to checking the oil and filling my washer bottle so you will have to excuse any stupid questions as they arise. Welcome to the forum Bern and Keith. Hope to meet you both in person at an event sometime, Donnington maybe? Are you not looking forward to meeting me then Steve ? Was it the picture or the mention of liking cuddles that put you off ? Sorry David, no disrespect meant. The other posts are new so flagged up in my Outlook Express hence the reply whereas yours has been post some time so didn't register. seriously if you are at Donnington I'll try to say hello. I'll be at Donnington and look forward to meeting you there ! I'm booked for Donnington with fellow 7 Series owners in the secure car park. Come and have a look how other BM owners drive in luxury !!! I will be on crutches or in a wheelchair, so will be easy to spot ! Welcome to the forum Scott. Very nice car. E36's always look good in black. Make sure you get to some of the meets as you have a great bunch of lads up your neck of the woods. Very keen and knowledgable BMW people and very helpful. 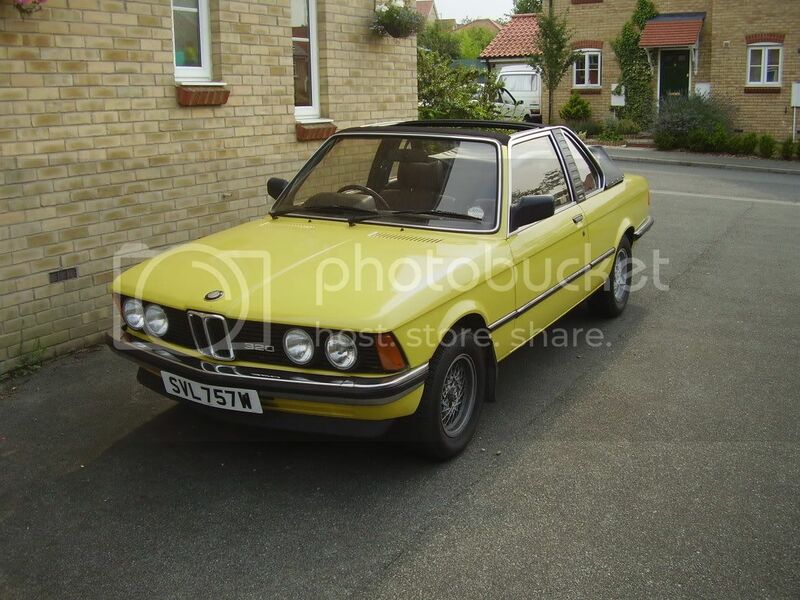 Hi my names Joe and I thought I had better introduce myself, I have been anavid Beema Fan for many years now and my current car is a convertable E30 320i which I love, hope to see some of you at the shows in the future, take care Joe Pih. I'm Pete. I've had BMW's for a number of years. 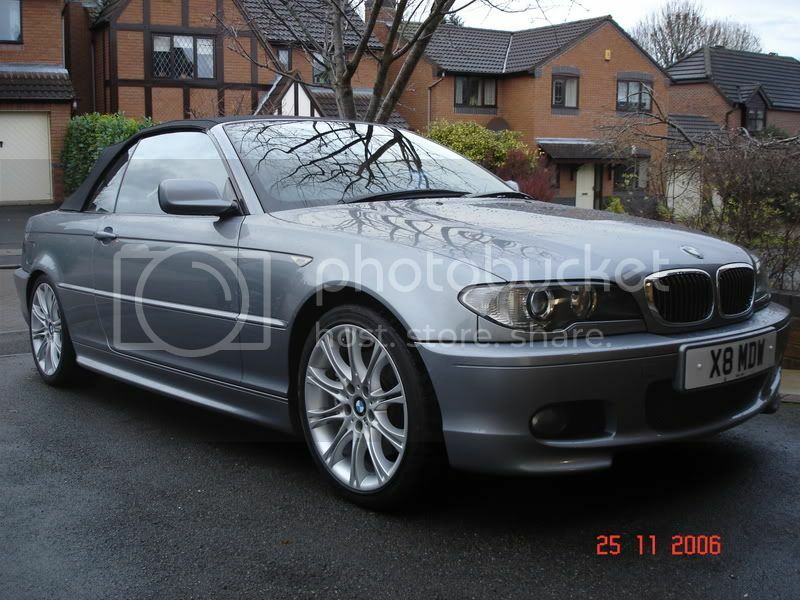 Currently my wife Karen has an E36 320 Coupe and I have an E36 M3 Evo convertable, both of which are in regular use. Hi Pete,Welcome to the forum to you both. Don't forget to post some pics of the cars. this time with photo's uploaded correctly - hopefully! Nice car Mike and with my fave wheels on - looks the mutts! Welcome to the forum Mike. Very nice car. You say you were at Cholmondley Castle in the summer so I assume you are in the North West area. I was there all day on the club stand. Hope you enjoyed the day and perhaps we will see you at some of next years events. 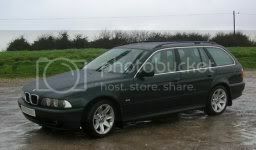 I hail from the Teesside area and I drive a pre-facelift 528i. 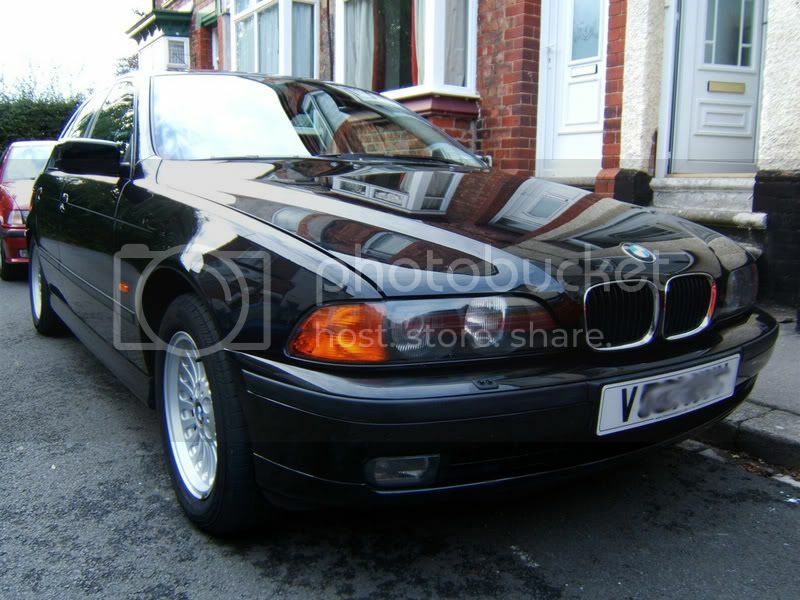 Mrs Peter has an E36 318ti Sport. 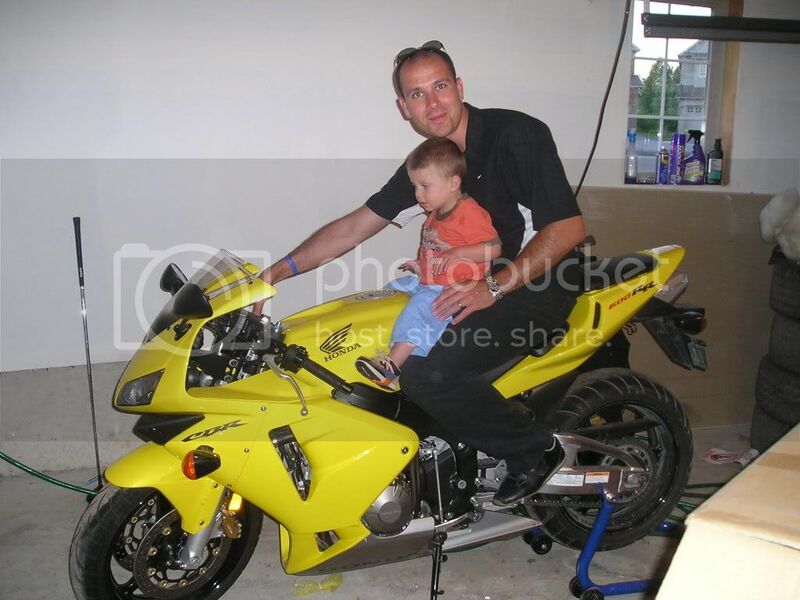 Not really new to the forum, long time reader small time poster, as they say. Thought it a good idea to introduce myself as can't remember if I did first time around!! 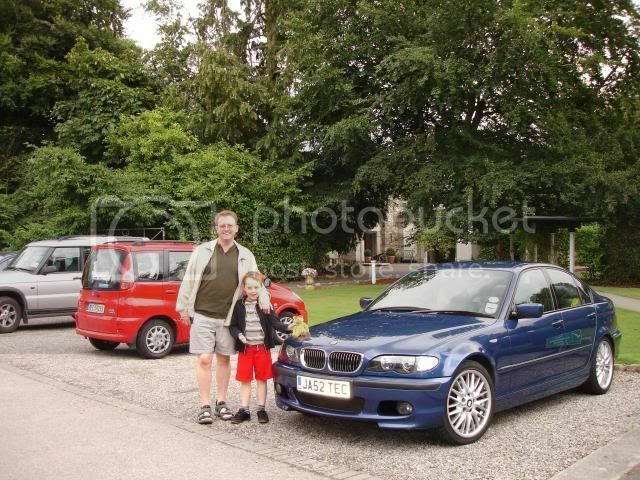 My name is Richard but Brad which is a nickname I am happy with, I drive a standard 525dse tourer, (hence Brad525) and the wife has a Mini One which I got her when she passed her test and is all BRG just like mine! (sorry no pic). And have a back seat passenger - Charlie !! Welcome guys - nice cars! Anyway, been a club member (this time round) for nigh on 3 years now. 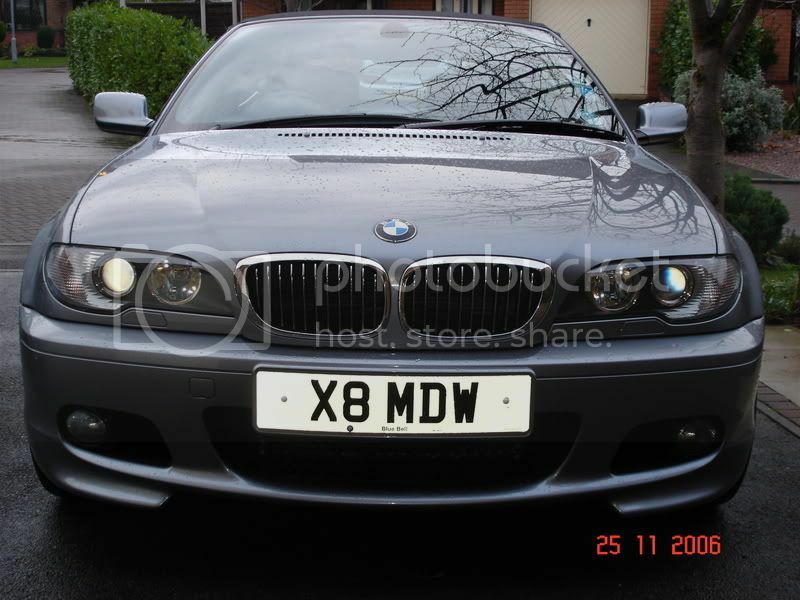 Although was a member years ago but drifted away but not from BMW. Hopefully I'll be able to contribute to the forum when possible. 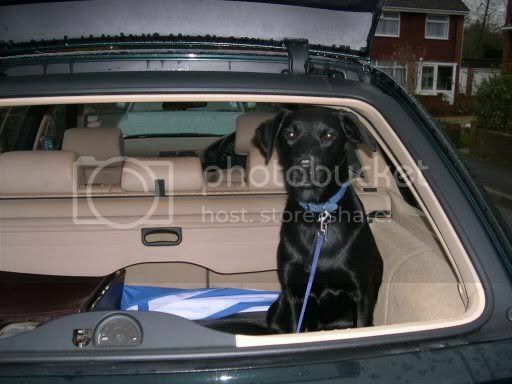 I am a bit of a forum hound so some might know me from bmwland, bmw car, bmw5 or 5driver. Sid530d. Welcome back.We certainly need your input. Danny Boy....good to see you on here m8......nowhere near as lively as the board but still worth a go ! I'll be there M8! Have read through this forum before,thought it was about time I posted!